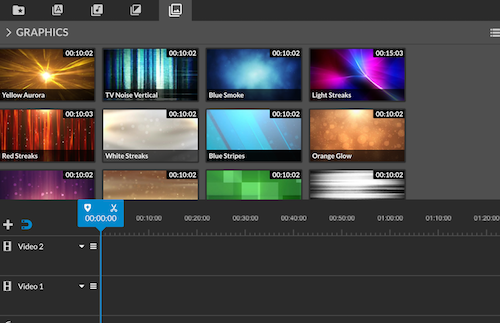 While iMovie is still a great choice for high-quality video production and editing, you may want to try something new. The alternatives below are all free and great for use in the classroom. Like iMovie, these options are terrific for teachers and students alike. Using Android devices? Looking for a focus on collaboration or accessibility? Explore these lesser-known tools and discover something just right for your students (and yourself!). If you want to learn more about using video in the classroom, check out our collection of tips and resources for viewing, creating, and thinking critically about video. Pros: Integrates seamlessly with Apple's photo and music libraries on your device; video captions are available in many languages. Cons: "Smart" social sharing could be too easy; teachers will want to protect student privacy. Like iMovie, Clips is an Apple-created app that integrates seamlessly with the photo and music libraries on your iOS device. The creation process is intuitive with enough special effects and personalization options to keep students immersed in the creative process. There's an easy-to-use Trim feature to edit videos. 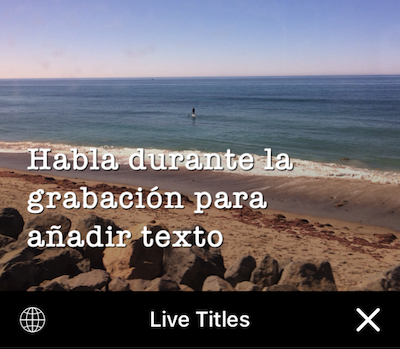 The Live Titles (captions) are available in a long list of languages and can be presented in a variety of styles. It's simple to speak while recording to create the captions; the choice of languages makes this an inclusive option for a variety of classes and student populations. Teachers should be aware that students can share videos very easily via email, text message, and social media. Pros: Fun filters and fancy fonts will keep kids experimenting with presentation style, as well as putting together information. Cons: Privacy can get convoluted with all the sharing, and the full program is somewhat costly. WeVideo's focus on collaboration sets it apart. It's a cloud-based video editing site, and multiple students can collaborate and work on the same video from different locations. Just use the Invite feature to grant editing access to others. Three editing modes and an easy-to-use interface make this tool accessible for students with different levels of video-editing experience. That said, students can easily switch between modes as needed. As kids synthesize information and build their video presentations, fun filters and fonts will keep them experimenting with tone and style. 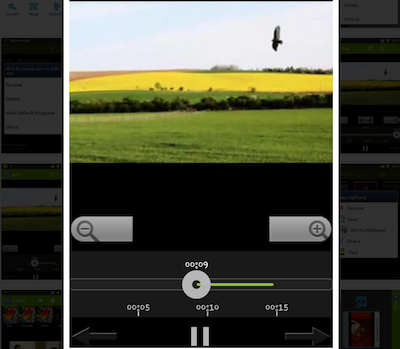 Pros: Powerful editing capabilities are specifically designed for Android devices. Cons: Editing on tablet screens is trickier than on desktop or laptop computers. If you use Android devices in your classroom, you should give this app a try. Its robust editing features are specifically designed for Android. Although the app's interface isn't as user-friendly as iMovie's and there are no templates to get started, students already familiar with iMovie will be able to navigate AndroVid Video Editor pretty easily with only a slight learning curve. Keep in mind, most features are available with the free version, but students are limited to simple video projects that can't exceed a certain length and they'll see ads, which can be distracting.